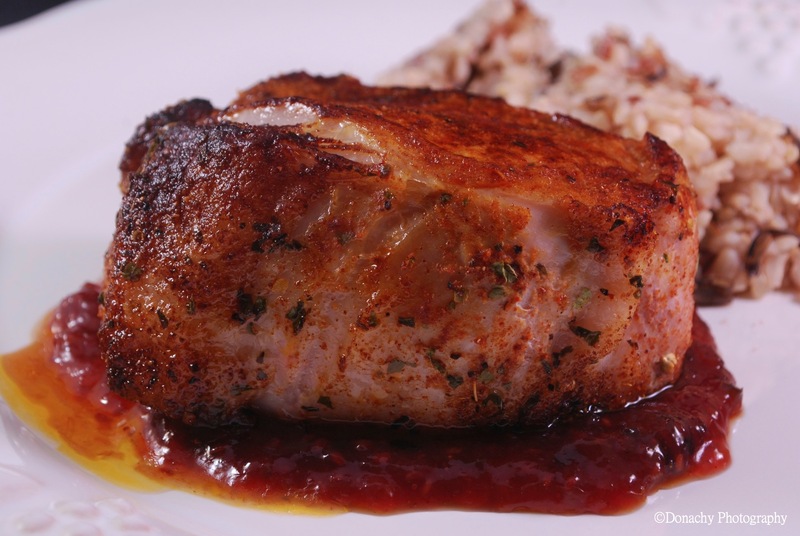 When it comes to preparing pork loin cutlets, time on the grill – or under the broiler – is everything. We prefer cutlets cut thick – generally one-and-a-half to two inches. That translates to 16 to 18 minutes cooking time under a broiler or over fairly hot charcoal. The rub and attention to cooking time prevents these tender, lean cuts of meat from drying out. We purchase our cutlets in bulk from Costco and repackage them in pairs for freezing. In our experience, the quality of Costco meats is on par with that of specialty butcher shops. Preheat a broiling pan under the broiler on high heat. When the pan is hot, spray or brush it with olive oil. (Refillable pump spray bottles are perfect for this.) Continue preheating another minute or two to get the oil good and hot. Place the pork cutlets on the broiler pan. They should sizzle. Set a timer for 16 – 18 minutes. After 8 minutes, use tongs to turn the cutlets over and continue broiling for remainder of time. Remove cutlets from broiler and let them rest for a few minutes to lock in the juices. In winter, roasted vegetables go well with this dish. Add a Pinot Noir with lots of dark cherries or berries.